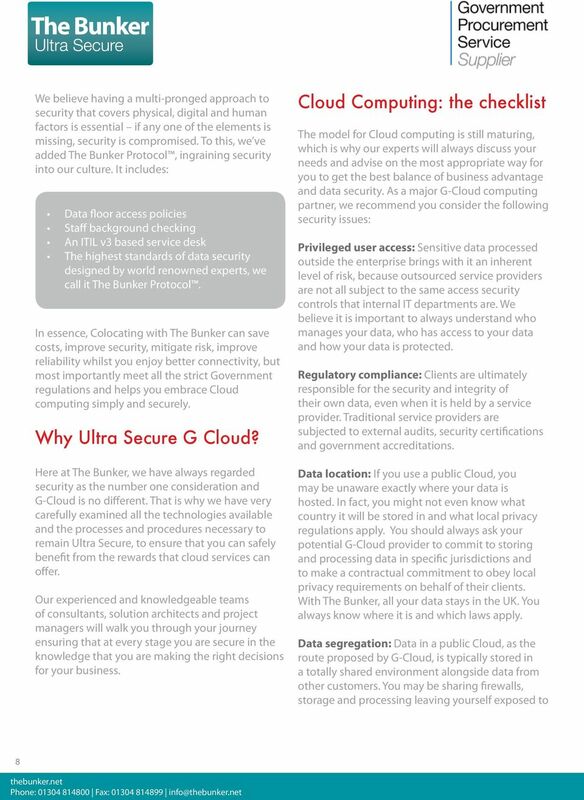 Download "Embrace the G-Cloud. 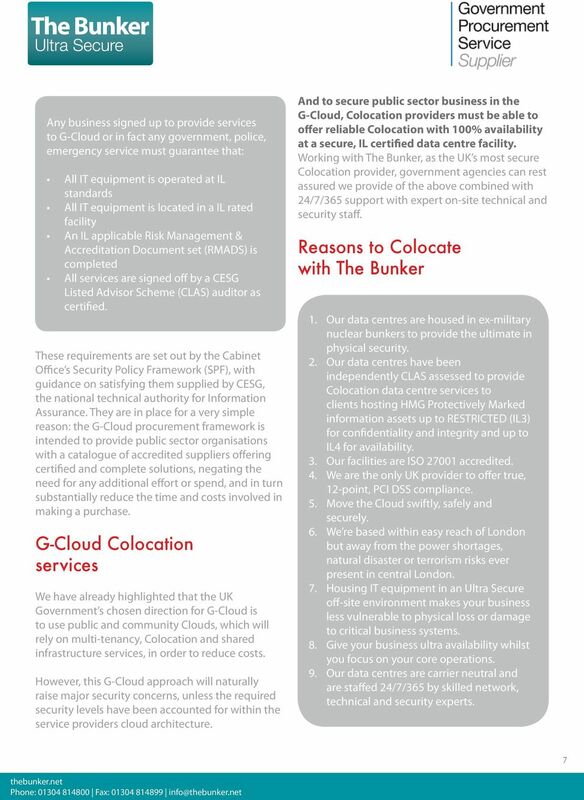 Ultra Secure Colocation Services for the Public Sector. 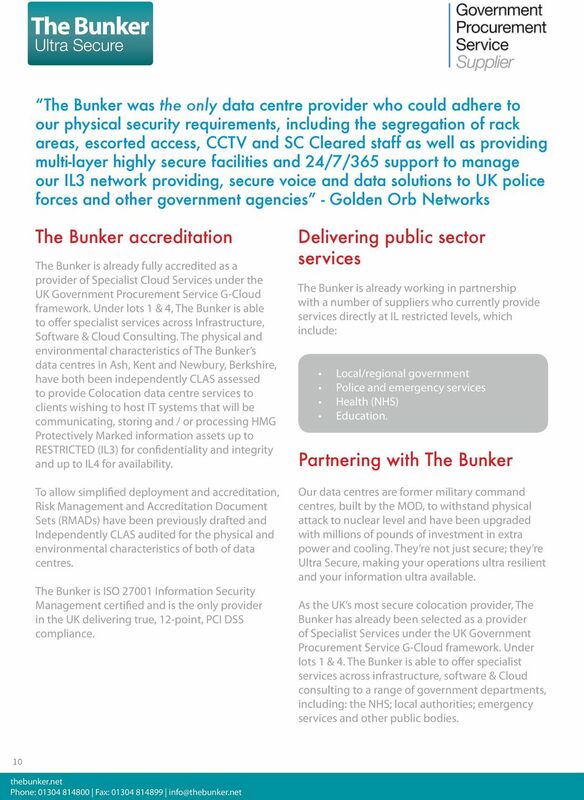 thebunker.net Phone: 01304 814800 Fax: 01304 814899 info@thebunker." 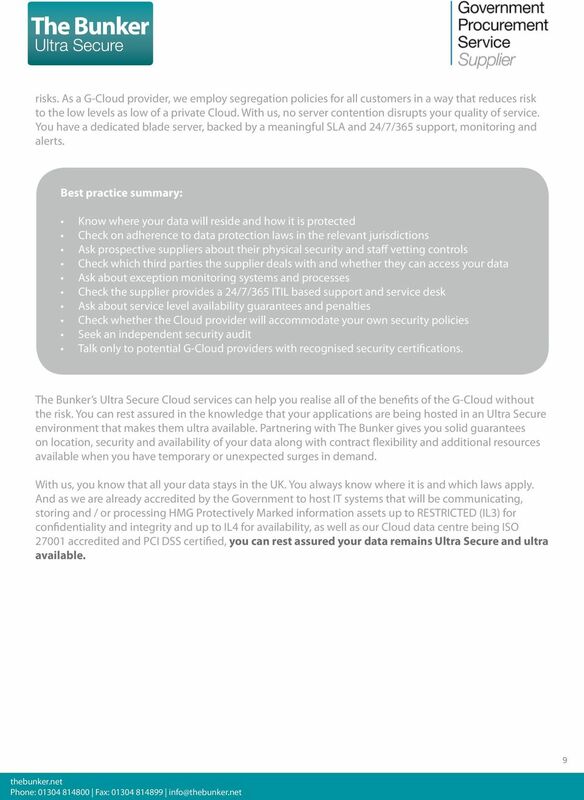 Can security conscious businesses really adopt the Cloud safely? 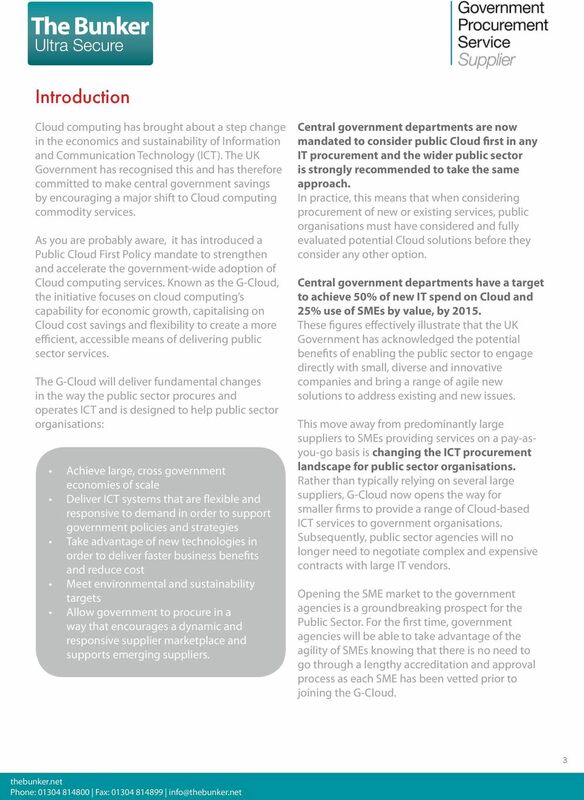 Delivering Government Cloud in 2012 Andy Tait VMware UK. VMware Copyright 2009 VMware, Inc. All rights reserved. ARCHITECTURE SERVICES. 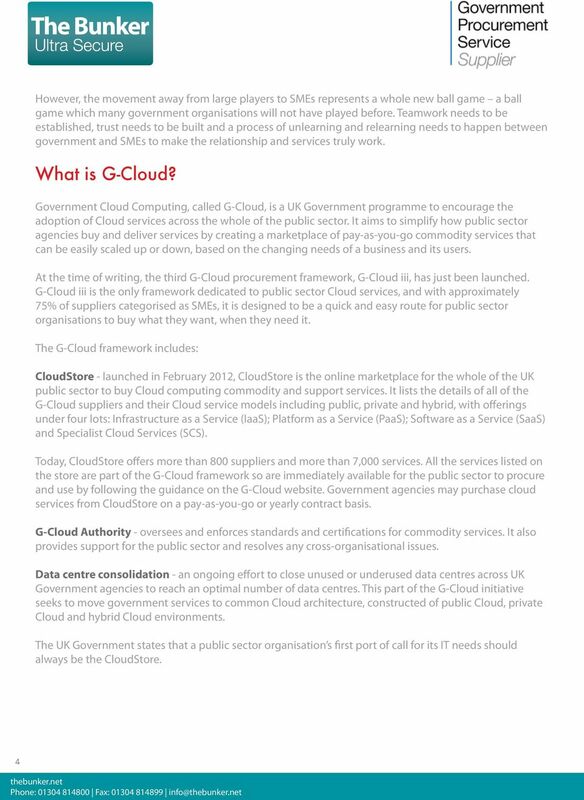 G-CLOUD SERVICE DEFINITION. 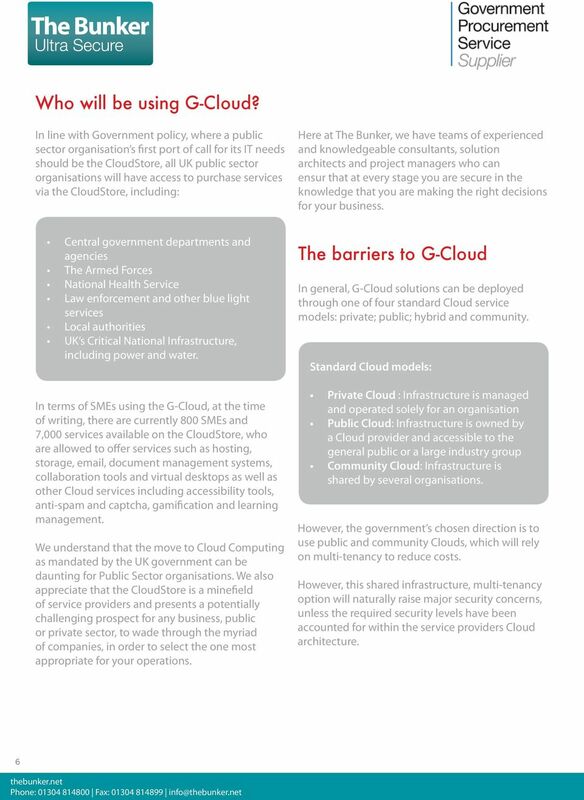 G-Cloud III Services Service Definition Accenture Cloud Security Services 1 Table of contents 1. 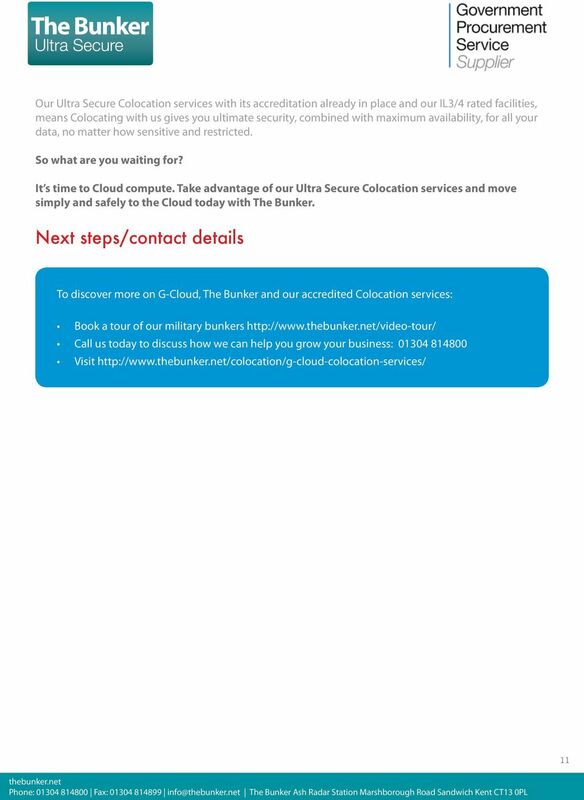 Scope of our services... 3 2. Approach... 3 3. Assets and tools... 4 4. Outcomes... 5 5. Pricing... 5 6. 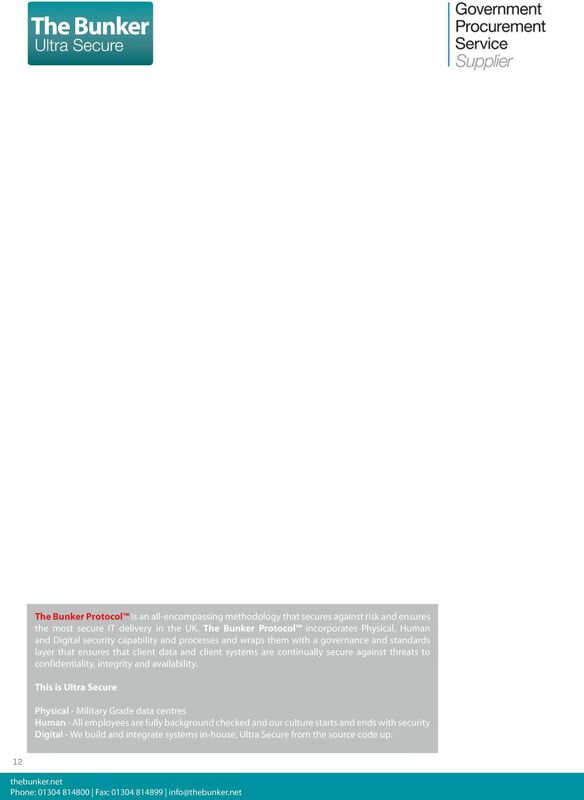 Defining the Enterprise Cloud David Bartholomew Publication date: February 2012 Defining the Enterprise Cloud Cloud services promise to unlock the value of IT and start to deliver strategic business value. Cloud Computing. 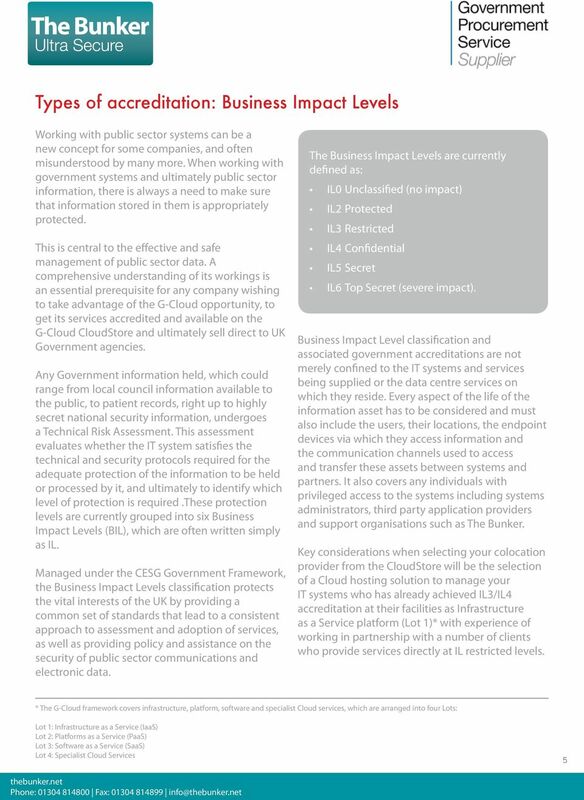 What does it really mean for your business?